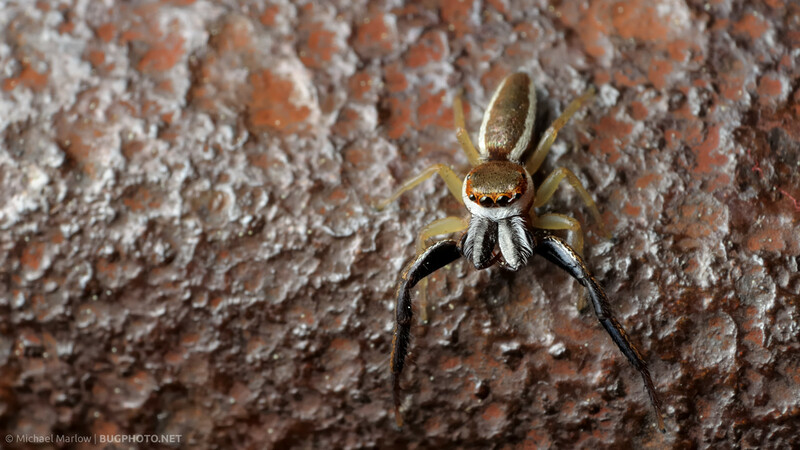 The handrails of the footbridge at Natural Bridge State Park are abundant with jumping spiders. One of the particularly interesting species is Hentzia palmarum, the male in particular. Its large forelegs and elongated jaws and fangs are quite striking, along with its orange and white-banded face. 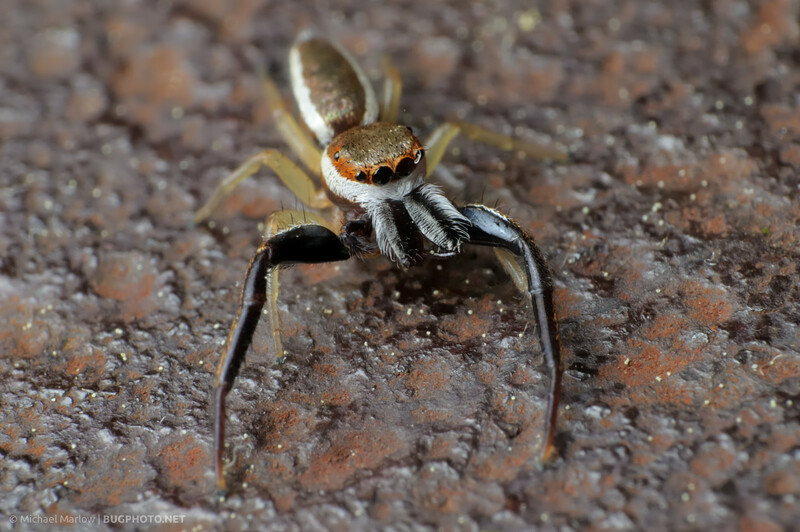 The females look quite a bit different, being light-colored, having less prominent jaws and forelegs, as well as a different pattern on the abdomen. I may or may not have a photo of one — a lot of unidentified shots in the archive! Enjoy the pretty boy here. A couple more photos after jump; I like each one for different reasons, not sure which one works best, though you can see that rogue loose hair on the eye at the right side in the face/portrait shot. 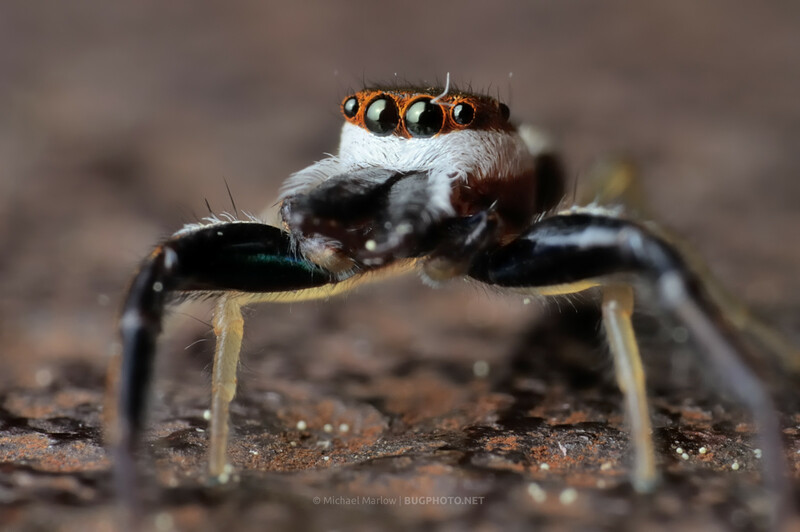 Posted in Jumping SpidersTagged animal portraiture, big bad wolf, big eyes, big teeth, Hentzia palmarum, jumping spider, Macro Photography, orange, rusty, Salticidae, sexual dimorphism, spiderBookmark the permalink.